will be mentoring you. He may be in the back seat, actively instructing. While soloing, he'll be on the ground monitoring your progress. Safety is always number one on the daily lesson plan. Fun is number two. 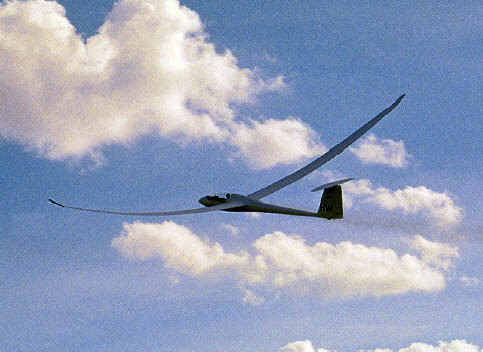 To solo: The minimum age to fly solo (alone) in a glider is 14. Many students start earlier, and then solo on their 14th birthday. 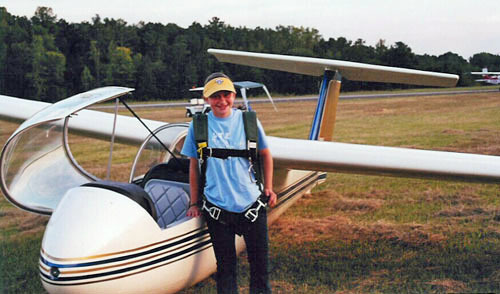 The average student requires about 25 to 35 flights to solo. Flights usually last about 20 to 30 minutes each, accompanied by about the same amount of ground instruction (usually given during pre-flight prep and/or walking the wing back to the line). 5. 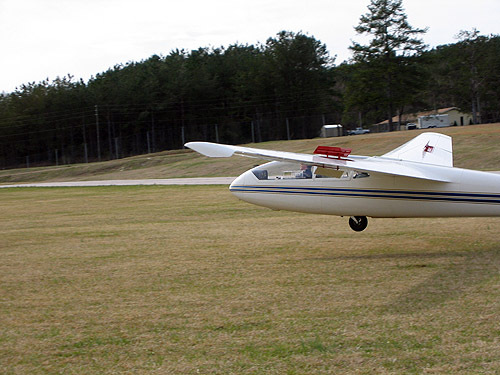 Pass both an oral and a flight test with an FAA Designated Examiner. 4. Schedule and take a check ride with an FAA Examiner. No written examination is required. Ground School: The FAA requires applicants for written examinations to take either ground school or "approved home study". We can recommend study material or personalize your ground instruction. Computer-based is also available to assist in preparing you for the FAA written test.